Thanks to the many property owners who have willingly put themselves out there to provide comment, content, suggestions and questions for the board both in favor of and against the current clubhouse vote discussion. We all know that in-spite of the current board not commenting directly to the public-at-large, they do follow all the content posted from NextDoor, the many Facebook neighborhood pages, and more to gauge what’s on property owner’s minds. Most elected officials provide direct access to themselves for their constituents to provide comment, compliment and complaint to communicate directly with their constituents. Not our board. Spectrum provides all public commentary and if you wish to speak to a board of director, good luck. As a result, the board has put together a question and answer sheet, sent out by Spectrum yesterday via e-mail. It is this authors opinion questions and answers should have been part of the original message, mail, etc. sent out to property owners to provide them with a full picture of what is about to be decided in our community with OUR money not as an afterthought as we near completion of the voting opportunities provided. NOTE: The first item in the Q&A lists $1.5 million construction ESTIMATE. An estimate is just that, fuzzy numbers. What is the bottom line? In the “special meeting” held July 24th, the board clearly stated the project would cost between $1.5 and $1.7 million to build and that DID NOT INCLUDE INTEREST FOR THE LOAN THEY WANT TO TAKE OUT IN OUR NAMES. Therefore the $2-million-dollar figure is a far more accurate representation of costs associated with this proposed build. It’s nice to know that the ESTIMATED figure does include furnishings, fixtures and equipment (FF&E). “Why is the board taking out a loan instead of saving the money and paying cash? The Board currently banks with WELLS FARGO — Yep THAT Wells Fargo that has made countless apologies in the news of late for misleading customers, setting customers up fraudulently with accounts and fees they did not sign up for, causing some 400,000 homes to be foreclosed due to an “Error” in how they presented information to the borrowers and so on. If Wells Fargo is the bank that will be handling our clubhouse loan what assurances do we have that we won’t fall prey to the same tactics? So, far Wells Fargo has merely apologized to the public and said we’ll do better and we won’t do it again…4th time’s a charm? And one more note here, according to board projections provided at the meeting we have an abundance of cash available —why wouldn’t we save the remaining and not borrow if we have so much cash already available to spend on a new clubhouse? Debt vs. cash? “According to the TPOA bylaws, a vote isn’t even required, why did it go to a vote? Do we live in a democracy or do we live in a form of socialism where the government (board) pats us all on the heads and says don’t worry we’ll take care of you and your money? We’ll spend it as we see fit. Did you vote for our board to make large scale decisions without vote and input from you the property owner? Especially one of this size and magnitude? Voting should be something applauded instead of making it sound like “shucks…we don’t have to let you vote because we can do whatever we want but we are going to LET you vote”! Is this how our elected governing body really thinks stewardship takes place with OUR money? IMPORTANT NOTE: The second of two lawsuits against the board has been settled through mediation. Anyone who has been through mediation (and I have personal experience from participating in the mediation that took place to turn our assessment account over to the property owners of Timberwood Park from the developer) knows that neither party gets everything on their list of demands, but it would be fair to guess the property owner didn’t walk away without some or possibly even most of their demands met. Since I do not know the particulars of the settlement that was reached, with most settlements being confidential, I am providing comment from the position of having been through a non-confidential mediation where you were all provided the results as property owners. Each side benefits in some way and each side does not totally win. Therefore, the board also got something out of the settlement — among other things I’m guessing it would be helpful to the board for the case go away and not be a public nuisance anymore, especially since they are trying to get a $2-Million clubhouse approved at the moment. And, of course it can be said that only $5,000.00 for deductible on the insurance policy was spent as a result. That sounds like a bargain until you consider this is now 2 lawsuits which have been settled back-to-back and at some point there will be a review by our HOA insurance company to decide whether to continue to insure our HOA, to raise rates, or drop us. The spin from this settlement by the board will no doubt include “it only cost us our deductible of $5,000.00 from our insurance policy/coverage”. Is that how we want to treat property owners continually who are at odds with the board? Go to court, settle and then claim victory because our insurance coverage paid whatever other costs were associated with it? What did it cost our insurance company? $250,000, $500,000 or maybe even $750,000 to settle? If this is the case, chances are high that our annual premiums will increase more than the $3400 per year for the new clubhouse and we may stand an even stronger chance of being dropped by our current carrier. It took the 1st property owner who sued the board taking their case all the way to the Texas Supreme Court to win it. Imagine how their legal bills look? I understand the 1st property owner is still being run back through the lower court by our HOA legal team. Do you want to have to fight that hard to use and keep your property in the manner to which your deed restrictions allowed you to when you bought your property should the board disagree with you and interpret deed restrictions as they see fit? Even though “they apparently don’t have to”, if the board were actually ready to take on this HUGE project, they should be more than willing to hold substantial public meetings at varying times, days and places to allow everyone an opportunity to hear the entire project from start to finish, provide feedback, listen to complaints, compliments and anything that their shareholders might want to provide. This all BEFORE ANY VOTE TAKES PLACE. Why the rush since this project is one that will live with our neighborhood for years to come if it is approved? In light of the countless questions, confusion, and utter lack of full disclosure with hard facts and numbers not fuzzy math, why not stall the vote until the board can meet with property owners on a larger scale? It appears we have access to other larger spaces to hold meetings should we need them. Maybe setup committees, not just members who always agree with the board, but with a mix of members from both sides to provide feedback and inclusion for all. After-all, isn’t this OUR neighborhood/community and not just as the board sees fit? One might think since the original launch of the “Clubhouse Vote Yes or No” e-blast following the meeting held on July 24th, 2018 at the clubhouse along with the subsequent fallout from property owners engaging in discussion about the project on various social media sites, the lack of documented preparation by the board, the lack of official community-wide notification, the lack of actual written financial projections and budgets presented by the board to property owners to provide usable information with which to make an informed decision, and in general looking like there is no documented viable plan (or at least not one which has been shared with the stakeholders of this project) on the table to approve a $2 million dollar clubhouse build the board might consider it important to take some big steps back and rethink what is in the best interest of the community they serve. Big steps back like postponing the project until several benchmarks can be addressed. 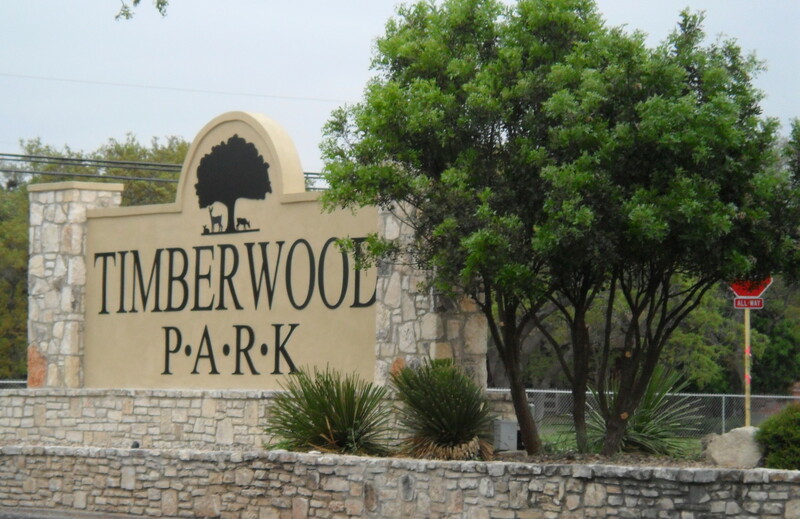 Instead, today the property owners of Timberwood Park, at least those who belong to the Spectrum e-mail list for all things Timberwood, received a revised set of numbers, not full financials, with caveats listed at the bottom of the page. Where is an actual written current financial for Timberwood Park which includes year-to-date revenue and expenditures, annual budgeted revenue and expenditures that has been sent out to every property owner in Timberwood Park as a means for property owners to establish a benchmark for informed decision making? Do you remember receiving a notice earlier this week suspending voting because …. In reviewing the financial summary related to the proposed new clubhouse so we could answer questions, the TPOA Board discovered an error in the summary that caused the association’s projected gross income to be overstated. This error was the result of including fine income (fines issued for deed restriction violations) in the projections when it is not applicable to TPOA’s budget forecasting. Fine income is not accounted for in TPOA’s annual budgets, but because the association’s books are kept using the accrual accounting method, it is accounted for in income statements whether or not it is collected. What was provided as a solution today was a sheet from the power point presented 7-24-18 which has been revised to “correct” the misstatement on income which the board was made aware of by a property owner. Read that last line again…..the misstatement on income — which the board was made aware of by a property owner…..shouldn’t the board have known what was “real income” versus what was pass through or not included in our operating income? If that was a misstatement, why would you believe the numbers now being floated as accurate? Shouldn’t we expect the board to have the details of the financials well understood and already correctly calculated thus far this year, especially if they are considering such a large expenditure? Shouldn’t a board who has done their research, sought 3 bids, researched this project for 2 years, and so on know this inside and out and be able to confidently present any and all detail to ensure property owners are confident their money is in good hands? Why would anyone now believe — hey problem solved — it was just a miscalculation of income and we are good to go???? Let’s invest $2 million dollars and see what it gets us….after-all it was just a simple mistake. Do you have confidence in this board at this time given what you’ve seen thus far? The entire process to vote is so confusing, so purposely left without documentation and supporting information to provide to the property owners in order to make an informed decision that EVERY property owner should be wondering why they would trust their money and its management to this board under any circumstances at this point. Restart the vote? Hmm. Let’s see….. so if I have voted and I decide to vote again will that cancel my vote because we were told that if we voted more than once that would be the case. Hmm. Let’s see…. so if I vote now and my vote before was different, how can I be ensured that the new vote is counted rather than the old vote? Hmm. Let’s see…who’s counting these votes, the old votes and the new votes coming forward? Hmm. Let’s see…who’s the independent oversight to ensure that this is being done fairly and allows ALL property owners the opportunity to vote? We still have folks who are not on the Spectrum e-blast list. Do they even have a clue what’s going on? Are we ensuring that EVERY property owner has the same opportunity to provide their informed vote on this matter? Someone mentioned this looked like a circus on social media….I hear the calliope now……….. Neighbors! You are entitled to better, more documented information and full transparency on this huge project. It’s time to vote no and put this to rest until every property owner has had the opportunity to be fully informed.